Hepatocellular Carcinoma (HCC) is the most common abdominal tumor worldwide, primarily found in Asian and Mediterranean populations. In European countries, HCC is found mostly in patients with liver cirrhosis or hemochromatosis. HCC consists of abnormal hepato-cytes arranged in a typical trabecular, sinusoidal pattern. It may be solitary, multifocal, or diffusely infiltrating. US may show HCC as an iso-, hypo- or hyperintense lesion. 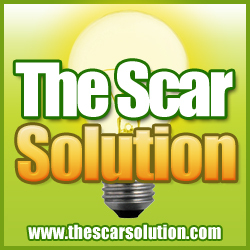 The capsule appears as a hypoechoic rim surrounding the lesion. Using new contrast agents for US, such as Echovist® and others, the degree of vascularity within the tumor can be demonstrated. makes the lesion again appear hypodense. Contrast-enhanced CT is capable of showing the vascular invasion and arterioportal shunting associated with HCC. 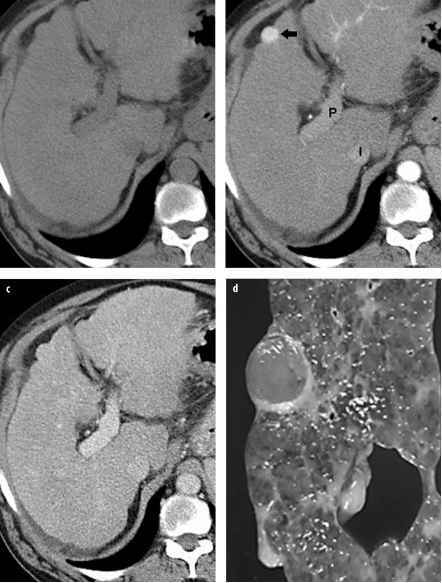 Diffusely infiltrating and small HCCs in cirrhosis may be difficult to detect with CT. Since HCC lesions are typically hypervascular with a primarily arterial blood supply, 'tumor seeking agents' such as lipiodol can be injected angiographically via hepatic arteries for improved detection of small nodules on lipiodol-enhanced Ct performed 4-7 days after application of the contrast medium. Furthermore, in combination with cytostatic drugs, lipiodol can be used for chemo-embolization of HCC. Larger HCC lesions typically have a mosaic appearance due to hemorrhage and fibrosis . Also, about 10% of small HCC can appear hypodense compared to liver, and are thus thought to be well-differentiated lesions. 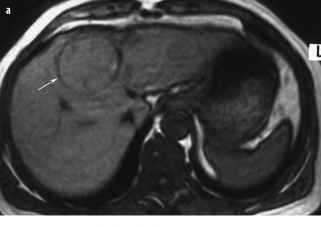 Typical MRI findings of HCC include a capsule, central scar, intratumoral septa, daughter nodules, and tumor thrombus. While most large HCC are hyperintense on T2-weighted images, small lesions less than 2 cm are often isointense, with the spectrum including a hypointense appearance. On Tl-weighted images, HCC has variable signal intensity relative to hepatic parenchyma. A tumor capsule may be seen on Tl-weighted images (Fig. 5). HCCs characteristically show early peak contrast enhancement, and absent or minimal delayed enhancement , and delayed images most often exhibit a tumoral wash-out on T1 images appearing hypointense. These enhancement features are useful in differentiating HCC from hemangioma, which generally shows early peripheral enhancement, marked peak enhancement more than 2 minutes after injection, and marked delayed enhancement at 10-12 minutes. HCC may show enhancement on delayed images after mangafodipir administration. However, such enhancement is not specific for HCC and can be seen with other primary hepatocellular tumors, such as FNH and adenoma, and also with hepatic metastases from hypervascular tumors. Fibrolamellär hepatocellular carcinoma is a less aggressive tumor with a better prognosis than HCC. It consists of malignant hepatocytes separated into cords by fibrous strands. On CT, fibrolamellar HCC appears as a large, well-defined vascular mass with a lobulated surface and often a central scar. On MRI, fibrolamellar HCC appears hypointense on T1-weighted images and hyper-intense on T2-weighted images, with the central scar being hypointense on both sequences. The scar in FNH is hyperintense on T2-weighted images and shows delayed enhancement, whereas that in fibrolamellar HCC has been reported to be hypointense on T2-weighted images with less often delayed enhancement . In contrast to the homogeneous appearance of FNH, these lesions are more often characterized as heterogeneous in appearance following contrast administration.